The garden is situated in the village of Hemmen (near Zetten), about 6 kilometres south of Wageningen, the Netherlands. 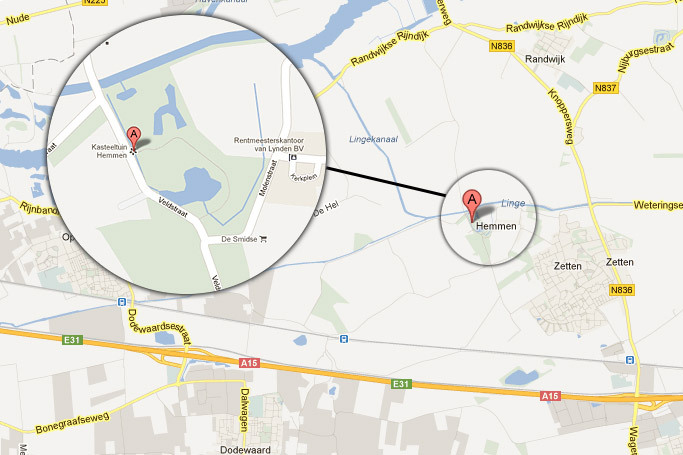 The address is: Veldstraat Hemmen. Click here to see the location on Google Maps..